Today, advanced denture techniques and materials combined with skill, experience, and artistry can literally redesign your smile. A thorough consultation and examination prior to any treatment is an important step to a successful outcome. Our team’s expertise will help you choose the best type of denture for your situation. An immediate denture is the perfect solution when you need to have all of your remaining teeth extracted because it ensures that at no time are you without teeth or a denture. The most important part of doing an immediate denture is the communication that happens before we begin. Our doctors want you to ask questions so they can address your concerns and expectations. We use your existing teeth and gums as a guide in our design so that the immediate denture creates a natural smile. 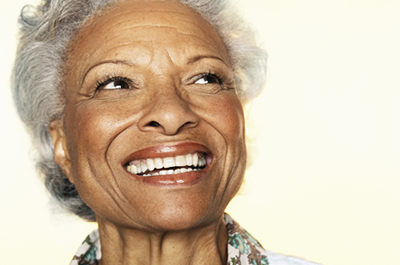 Dental implants are changing the way people think about missing teeth. If you struggle with a denture that moves around when you eat or speak, dental implants provide solutions for patients who wear dentures. They provide a strong base that is placed in the jaw bone to stabilize loose dentures so you can smile and chew with confidence. Contact us to find out more about dentures and dental implants.